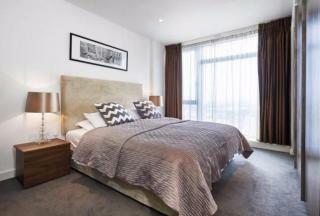 A luxurious 2 bedroom, 2 bathroom apartment is available for letting from 31/12/18 in the iconic Southbank Tower SE1. Comprising 902 sqft located on the 17th floor, the apartment includes a fully fitted kitchen, open plan reception room designed to entertain with views of London Eye and the River. 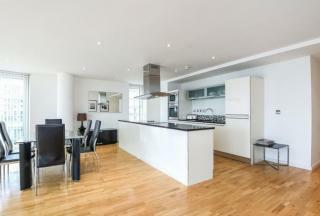 A stunning 3 BED, 2 BATH apartment situated in the Landmark East Tower is available to rent NOW. On the 37TH FLOOR, this luxury apartment LOCATED MINUTES FROM CANARY WHARF STATION features a modern open plan kitchen & reception, outstanding balcony views and floor-to-ceiling windows. SPECTACULAR 3 BEDROOM, 3 BATHROOM (2 EN-SUITE) apartment situated in recently constructed EXCLUSIVE GATED development of BISHOPS GATE in N6. 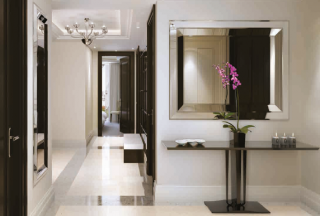 This development consists of 24 HOUR CONCIERGE, COMMUNAL GARDENS and more. AVAILABLE 23/04/2019. 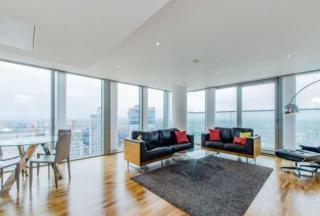 SHORT LET :A luxurious 2 bedroom, 2 bathroom apartment is available now in the iconic Southbank Tower SE1. Comprising 902 sqft located on the 17th floor, the apartment includes a fully fitted kitchen, open plan reception room designed to entertain with views of London Eye and the River. 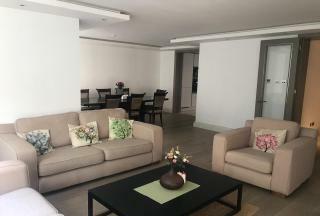 This outstanding, FURNISHED 2 BED (DUPLEX) WITH PARKING, 2 BATH apartment on the 38TH FLOOR of the stunning Pan Peninsula development is available NOW. The apartment boasts THREE PRIVATE BALCONIES, prime a fully fitted kitchen, extensive reception room. A selection of BRAND new three bedroom RIVER FACING apartments now available in THE CORNICHE in SE1, an iconic modern and sleek curved building maximizing landmark river views from the balcony. 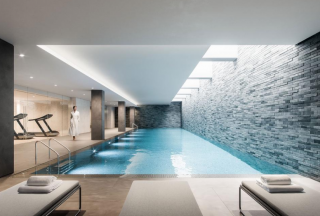 Fabulous facilities 24 hour Concierge, Gym, Pool, Sauna, Residents Skyline Club Lounge, and Terrace. 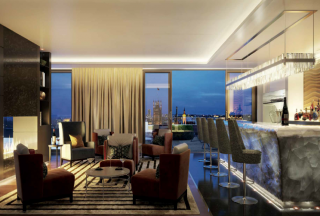 A luxurious 3 bedroom plus winter garden and 2 bathroom apartment, ENSUITE, on the 21st floor with south west view of London is now available for letting in the iconic Southbank Tower SE1. 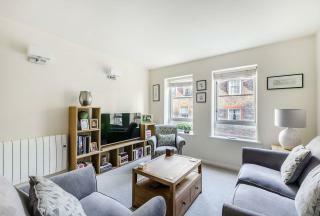 Compromising of 1241 sq ft this apartment is furnished and is available now with fabulous facilities. 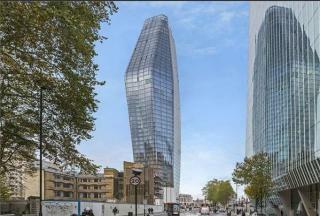 Luxurious two bed apartment to let in the most iconic new development in London, One Blackfriars. This outstanding apartment consists of a spacious reception area, offering amazing views of the River, the West End and St Pauls. 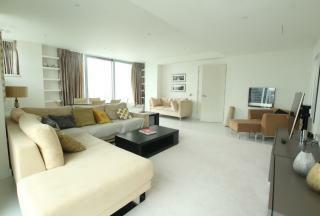 Luxurious TWO BED apartment to let on the 30TH FLOOR in the most iconic new development in London, ONE BLACKFRIARS. This outstanding apartment consists of a spacious reception area, offering amazing South East views and AVAILABLE NOW, FULLY FURNISHED to a very high spec and truly amazing facilities. A luxurious 2 BEDROOM PLUS WINTER GARDEN and 2 bathroom apartment on the 20th floor with south east view of London is now available for letting in the ICONIC SOUTHBANK TOWER SE1. Compromising of 1177 sq ft this apartment can be (un)furnished and is AVAILABLE NOW with fabulous facilities. A magnificently furnished FOUR BEDROOM APARTMENT on the 1st FLOOR, available from 21/01/2019. 24 HOUR CONCIERGE, COMMUNAL GARDEN, RESIDENTS LOBBY AND MORE. A magnificently furnished FOUR BEDROOM APARTMENT on the 2nd FLOOR, available from 21/01/2019. 24 HOUR CONCIERGE, COMMUNAL GARDEN, RESIDENTS LOBBY AND MORE. This incredible 2 bed 2 bath premium apartment situated on the 26th floor of the stunning Southbank Tower in SE1 is available for letting from 31/7/18. Measuring 1168 sq ft, is fully furnished with a fully fitted kitchen, open plan reception designed to entertain with views of London Eye & River. 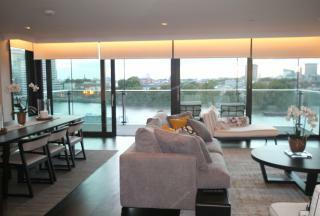 Luxurious TWO BED apartment to let on the 31ST FLOOR in the most iconic new development in London, ONE BLACKFRIARS. This outstanding apartment consists of a spacious reception area, offering amazing NE views over the River, AVAILABLE NOW, FURNISHED or UNFURNISHED , PLUS PARKING & amazing facilities. 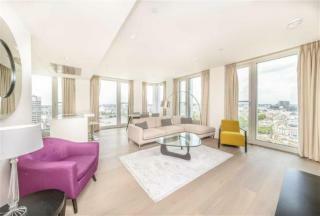 Luxurious three bed apartment to let in the most iconic new development in London, One Blackfriars. This outstanding apartment consists of a spacious reception area, offering amazing views of the River, the West End and St Pauls. 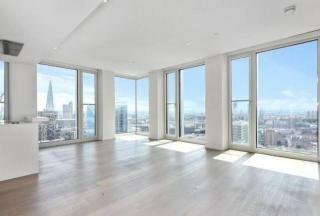 Luxurious 3 BEDROOM apartment to let on the 39TH FLOOR in the most iconic new development in London, ONE BLACKFRIARS. This outstanding apartment consists of a spacious reception area, offering amazing south-west views and AVAILABLE NOW, fully furnished to a very high spec with amazing facilities. Spectacular three bed apartment for letting within the new elegant development known for its exclusive location, next to the most famous shopping streets, cafes, theatres, and restaurants in London. SPECTACULAR 7 BEDROOM 6 BATHROOM VILLA situated in CARMEL GATE, NW11 all set within a BEAUTIFULLY LANDSCAPED EXCLUSIVE GATED DEVELOPMENT. Located in the popular area of TEMPLE FORTUNE NORTH LONDON DISCREET LOCATION on HAVANNA DRIVE, off Bridge Lane, offering a high-level of SECURITY AND PRIVACY.